It’s only been about a week since I told you the last bit of J.K. Rowling news — that the famed Harry Potter author is penning a sequel to her bestselling detective novel from last year, The Cuckoo’s Calling. But according to Entertainment Weekly, the sequel, entitled The Silkworm, is not all we can expect from Rowling. Like the Harry Potter series, she plans to write a total of seven novels in the detective series. The series follows Detective Cormoran Strike, his sidekick/secretary/assistant Robin, and whatever crazy case they happen to be investigating. The Cuckoo’s Calling sets itself up for a sequel, and let’s be honest; most detective novels are just one in a long line of books about the detectives. It’s an easy formula to follow. Plus, considering how much success Rowling has had with the Potter series and the first Cormoran Strike novel, it’s no surprise she plans to write more. The series will be published under her pen name Robert Galbraith. Recap: Sixteen-year-old Hazel Grace Lancaster has very few friends. She’s oddly close with her parents. She takes a few college classes instead of high school, and she loves America’s Next Top Model marathons. Also, she has cancer. Every time she attends another support group session, her mom insists that she make friends, but Hazel isn’t interested. As far as she’s concerned, she’s well on her way to dying anyway. Everything changes when she meets fellow cancer patient Augustus. He’s sarcastic and smart and well, hot. He’s also in remission. Because Hazel is new to boys and relationships and new friendships, for that matter, she forces him to read her favorite book before accepting a date with him. Augustus reads the book — one with an open ending about a girl who has cancer. Augustus joins Hazel in her frustration with the end of the novel. Soon, a relationship is formed, as is an obsession with the novel. Augustus uses his “Make a Wish”-style wish on Hazel. Hazel opens Augustus to world of true love, not the forced “love” he shared with his ex-girlfriend. But with two young cancer patients in love, there’s only one ending. This is not a happy story, but this is a powerful one about life, love, and how we perceive it all. Analysis: When Hazel and Augustus meet, they’re doomed, destined for death. But they’re also lucky — able to live their lives with nothing to lose, however difficult it may seem. The Fault in Our Stars tells the story of young love between two old souls, and to reinforce their deep connection, author John Green relies on literature. From the beginning, the two discuss their favorite books — both entirely different genres of literature. Her favorite book is a powerful story reflective of her own, and frightening in its depressingly realistic outlook; his, a graphic novel that depicts strength, overcoming the impossible, and heroism. But the title of this novel itself, The Fault In Our Stars, is taken from a line of Shakespeare’s Julius Caesar: “The nobleman Cassius says to Brutus, ‘The fault, dear Brutus, is not in our stars, / But in ourselves, that we are underlings. '” This is how the teenagers suggest it is no one’s fault but their own that they are sick and doomed. But the reference to “stars” recalls yet another Shakespearean play, Romeo and Juliet, by referencing the two as “star-crossed lovers.” Theirs is a love that is not meant to last. But the journey Hazel and Augustus take together — emotionally, physically, and literally — shows their love goes beyond death. With realistic teenaged narration from Hazel’s point of view and frank awareness of the characters’ own destiny, Green tells a story that will make you cry, but encourage you to live your life the best way you can. After all, you only get one chance. MVP: Augustus. Through all the pain of illness and all the sadness of death, he finds the beauty of life, and gives Hazel a reason to live hers, even when she doesn’t know that it’s worth it. 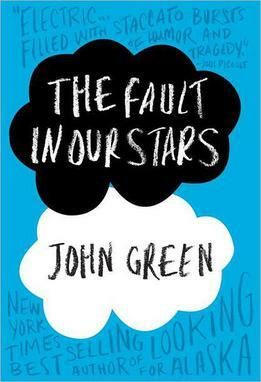 Get The Fault in Our Stars in hardcover for just $7. Or on your Kindle for $5.50. Get Still Alice in paperback for $12.97. It’s been just about a year since Robert Galbraith released the crime novel The Cuckoo’s Calling. But it’s been less than a year since it was revealed that “Robert Galbraith” was a pseudonym for the bestselling author of the Harry Potter series J.K. Rowling. 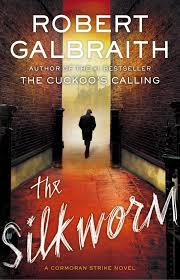 The news then pushed Galbraith’s adult crime novel to the top of bestsellers lists around the world and ended Rowling’s ability to keep any other books a secret. The Silkworm is set to be released in the U.K. on June 19 and in the U.S. on June 24. 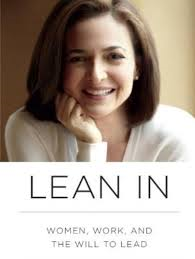 Facebook’s chief operating officer Sheryl Sandberg made waves last year when she released the nonfiction bestseller Lean In: Women, Work and the Will to Lead. Despite the controversy (keep reading…), it seems the bestseller is headed for the big screen. Focused on the social issues that face women in the workforce, the book got a lot of praise from some, but hate from others. Some complained that Sheryl Sandberg doesn’t face the challenges of the “everyday woman” because she is one of the richest and most powerful women in the country. Others felt she claims that it’s up to women to make the changing needed to the workforce, and not corporations and companies themselves. It seems more and more celebrities are doing more than just their typical singing, acting, and looking glamorous. Mariah Carey, Nick Cannon, and Parks and Recreation‘s Nick Offerman are all in the process of writing new books. 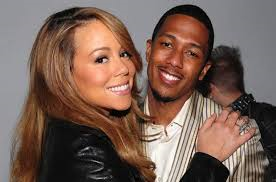 According to Entertainment Weekly, Mariah Carey and her husband Nick Cannon are working on a holiday children’s book based on their twins, Moroccan and Monroe. Entitled Roc and Roe’s Twelve Days of Christmas, the book is geared toward children 3-year-old and up and offers a “unique spin” on the The 12 Days of Christmas. Parks and Recreation‘s Nick Offerman is also working on a book — his second — this one about 25 Americans from U.S. history that Offerman considers to be “Great Americans.” As you can expect, the still untitled book promises to be funny, with narratives told in a “unique, always humorous” way. This book comes on the heels of Offerman’s bestselling book Paddle Your Own Canoe. What new celeb-penned books are you most excited for? Recap: In a world filled with young adult fiction novels full of post-apocolyptic stories, author Karen Thompson Walker tells the story not of what happens after the world ends, but what happens as it’s ending. The Age of Miracles is told through the eyes of a middle school aged girl, Julia, who lives in California with her parents when one day, the world begins to slow down. As Julia’s family follows real time, the inconsistency in the length of days parallels the inconsistencies in her life. She’s coming of age in a time when everyone and everything is changing. It seems as though “the slowing” shifts something — affecting her parents’ marriage and Julia’s friendships at school. Julia’s best friend, Hanna, decides she’s too cool for Julia after Hanna temporarily moves with her family to try to escape “the slowing.” Seth Moreno, the cutest boy in school, befriends Julia. And as scientists work to determine what caused “the slowing,” Julia and everyone else keep trying to live what used to be a normal life. 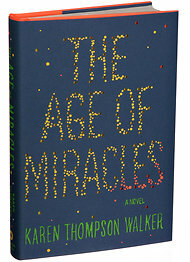 Analysis: The Age of Miracles is a tragic sci-fi coming-of-age story that makes the reader recognize that middle school is nowhere near as difficult as it could have been, had middle school also coincided with the end of the world. Julia’s feelings throughout the novel are strikingly similar that of any real-life 12-year-old, but “the slowing” adds another layer of strangeness and unfamiliarity. The concept is unique, and the writing well-done, but I’ll admit the novel was a little too depressing for me. I commend author Karen Thompson Walker for braving the difficulty of not telling a post-apolocolyptic story, but rather, a pre-apocolyptic one. But the feelings of despair at the end of the novel are almost too dark to bear. Unless your plan is to then read The Hunger Games and assume that those novels pick up where this one left off. MVP: Julia. With a title like The Age of Miracles, I have to admit it is quite a miracle that Julia makes it through adolescence and grows up to be a relatively normal adult. With so much uncertainty worldwide, the added difficulties of growing up, and pretty much everything going awry, it takes one tough, smart 12-year-old to get through it okay. Get The Age of Miracles in paperback for $10.34. Or on your Kindle for $9.82.